Ovi Store Summer Gift of Games! 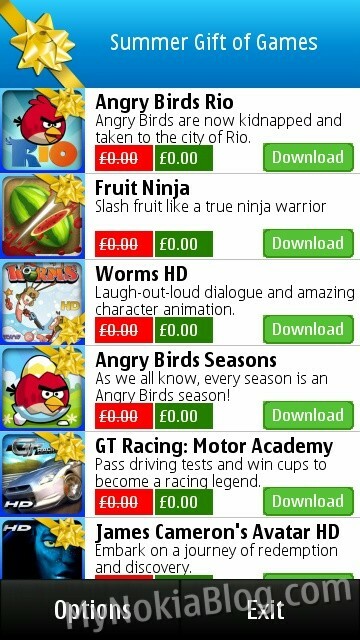 20 yellow ribbon premium games for free – download ALL from one app! Sorry for the slow news, rather bogged down with revision. During my revision break, perusing Ovi Store shows you one of the featured items being that rather lovely yellow ribbon! If you remember…two weeks ago, Ovi Store suddenly began offering premium games…FOR FREE. We weren’t exactly sure why, but apps were relisted with yellow ribbons. Like gifts for some unknown promotion. 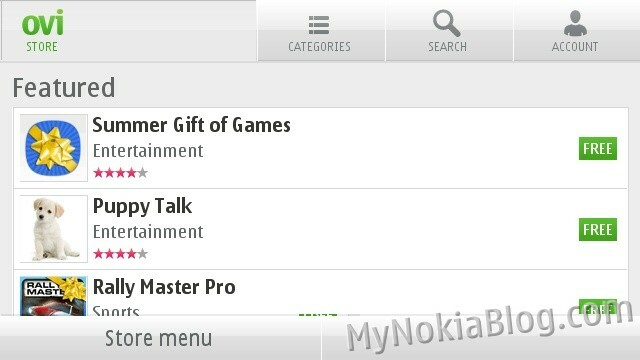 That’s 20 Brilliant games for your Symbian^3 phone ABSOLUTELY FREE (though it may still have location restrictions – please tell us if you can get the Summer gift of Games app ). Thanks Nokia! N.A. here = Not available. Not sure if that is permanent, or if it might come later. Let’s say £2 a game (most are actually £3) then that’s £60 worth of games. FOR FREEEE! 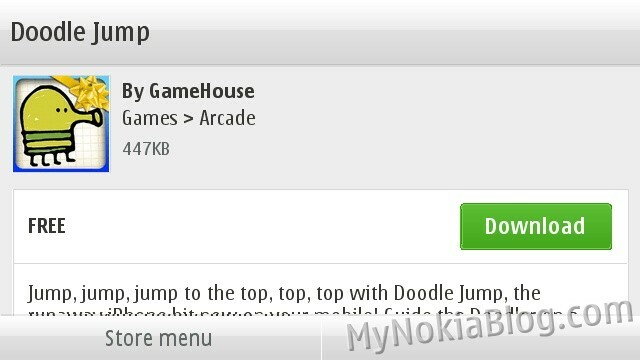 « PR3.0/Symbian Belle on Nokia E7?